Fantasy novels never fail to entice me. Their promise of escapism and intricate plots keep me coming back for more over and over again. I fell head over heels for Melina Marchetta's Finnikin of the Rock and was in search of another epic series. Thankfully, I found it in Chima's The Demon King. The character development makes me want to giggle with happiness. From the fiery princess Raisa to complicated Cuffs, every character drew me into their well-written personalities. The characters each have individual traits, descriptions, and mannerisms. It is refreshing to see a series devoid of cliche stereotypes. 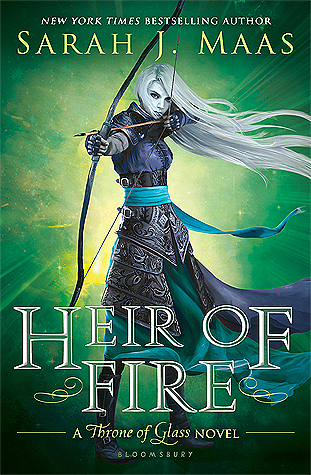 Speaking of cliche stereotypes, I was impressed by Chima's ability to write a strong, independent heroine without turning her into another Katniss wannabe. Reckless female protagonists have become all too common in young adult literature lately, and many of them have been grating on my nerves. There is a distinct difference between a well-developed female character and a girl who simply acts brashly and speaks loudly. Raisa is a believable heroine- her tenacious personality earned my love immediately. I have always enjoyed thick books filled with fictional histories and politics. While some may become annoyed with the confusing family relationships and the different realms, I excitedly dove into the story's complex plot. Chima's world building is masterful. I was effortlessly able to place myself in the characters' shoes and envision the fantastical world in which they live. She leaves no detail out in her vividly worded descriptions. Honestly, there was only one reason I didn't award The Demon King with five stars. At over 500 pages, it is no quick read. I kept waiting for the story to really begin. Chima obviously has impressive plans for the plot, but few of them come to light in this first book. I'm hoping the story will really pick up the pace in the next few installments. 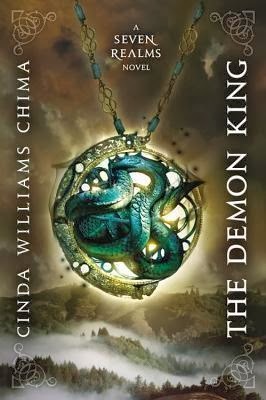 Overall, I would highly recommend The Demon King to any lover of fantasy. This first book in the promising Seven Realms series will enchant and delight readers of all ages. Just be sure to set aside a good chunk of time before picking it up, because you won't want to set it down once you start.